The 126th Annual Council was held February 16-17, 2018 at the Williamsburg Lodge Convention Center in Williamsburg, VA.
Click here for Bishop Hollerith's address to the 126th Annual Council. Click here to listen to audio of the Bishop's address. Keynote Speaker: Scott Bader-Saye, Ph.D. Audio recordings of Day One presentation and Day Two presentation. Click here for the slides that accompanied the two presentations. 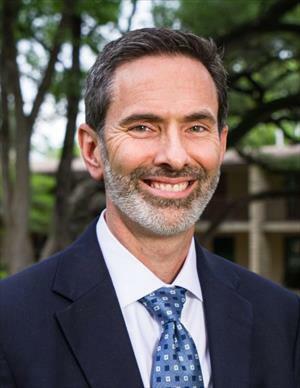 Scott Bader-Saye is the Academic Dean and Helen and Everett H. Jones Professor of Christian Ethics and Moral Theology at Seminary of the Southwest in Austin, Texas. His publications include two books, Following Jesus in a Culture of Fear and Church and Israel After Christendom. He has contributed chapters to The Blackwell Companion to Christian Ethics and The Cambridge Companion to the Gospels, as well as having published articles in journals such as The Journal of the Society of Christian Ethics, Modern Theology, Studies in Christian Ethics, Pro Ecclesia, Cross Currents and Christian Century. Dr. Bader-Saye earned his AB at Davidson College, his M.Div. at Yale Divinity School, and his Ph.D. at Duke University. Resolutions C1, R1, R2, R3 and R4 were all passed by Council. The proposed diocesan budget was approved by Council. Bishop Hollerith's nominations were also approved by Council. Click here for information about these positions.